Safran Electronics & Defense Australasia (SEDA) has opened a new facility in Botany that will house testing and maintenance equipment to support the Australian Armed Forces. Strategically positioned in close proximity to key Defence sites and Sydney Airport, the new facility features a state-of-the-art clean room, a laser room, climate testing systems, as well as avionics, inertial navigation and optronic test benches capable of supporting Safran Electronics & Defense’s portfolio of sensors. The facility, which is also capable of servicing submarine optronic masts, can be easily expanded to keep pace with the company’s current growth path and opportunities in the Land Air and Maritime domain. Safran Electronics & Defense Chief Executive Officer, Martin Sion said the decision to relocate to new premises was made when it became clear that the previous Bankstown site had become too small to cater for the company’s increasing industrial footprint and staffing. “In line with Safran’s strategy, the opening of this new site enables our local subsidiary Safran Electronics & Defense Australasia to expand and increase its service capabilities towards its Australian customers,” Mr Sion stated. Defence Minister Christopher Pyne, who officially opened the new state-of-the-art workshop on Tuesday, said the move will allow the company to achieve its projected growth in the year to come. 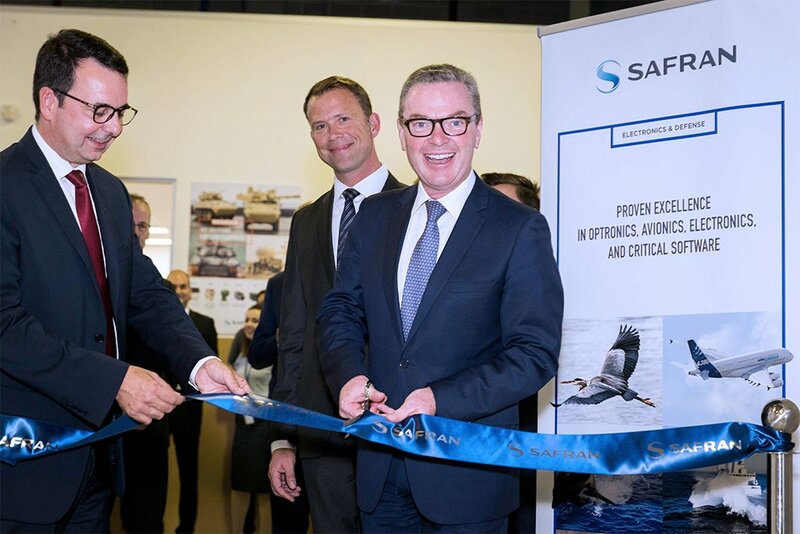 “This new facility is a vote of confidence in the defence industry and will let Safran better support the ADF,” Minister Pyne added. He also pointed out the extensive work that Safran is doing in collaboration with Australian academic institutions. “Safran has developed apprenticeship programs covering mechanics, logistics and business management,” the Minister continued.